This is a short, simple, sweet, and elegant gift for your loved ones. 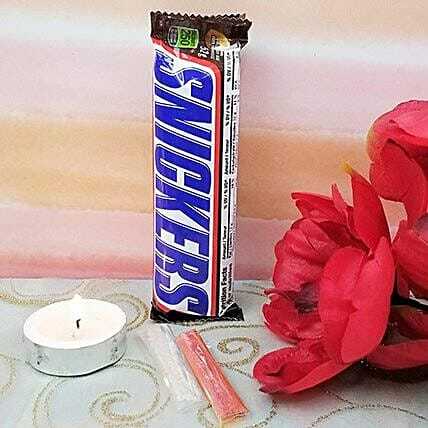 Wish a Diwali and Bhai Dooj with this gift set of Snickers chocolate, diyas, and roli tikka to your friends, siblings, and relatives. The sweetness of your relationship and brightness of life should never evade and that is the wish contained in this gift set. Upon receiving the chocolates, immediately refrigerate them.